When you turn on sync, all your profile information is saved to your Google Account. 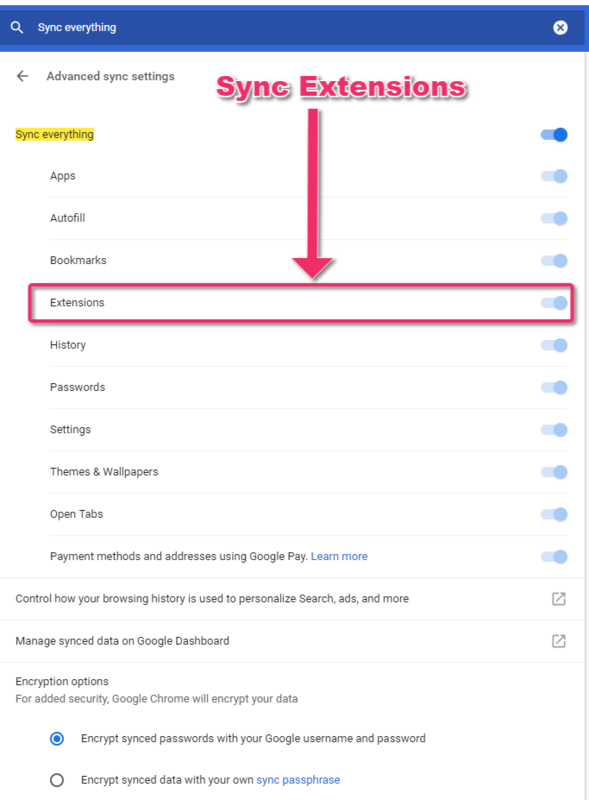 If you want to be able to use your Chrome extensions on all your devices, here’s how to make sure your extensions are synced to your Google Account whenever and wherever you’re signed in. On a trusted computer, open Chrome. At the top, under People, click Sync.